Our lily pod is a smaller (but just as adorable) version of the cuddle pod. 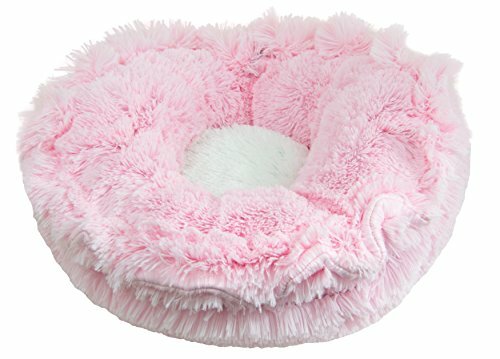 Ideal for small dogs and cats. Features a hidden drawstring that enables you to curl up and convert the bed to different levels of cuddliness. This unique design makes it two beds in one and with the Reversible feature your furry best friend can enjoy the best of both worlds. A hidden pouch is provided to store the excess drawstring. If you have any questions about this product by BESSIE AND BARNIE, contact us by completing and submitting the form below. If you are looking for a specif part number, please include it with your message.